How Much Can I Expect Braces to Help my Overjet, Open-bite, and Cross-bite? If you’ve been dealing with a teeth alignment issue, you’re probably frustrated with the imperfection. You may have an overjet, crossbite, open bite, underbite, overbite, gap or something different that may be chipping away at your self-esteem. You may be asking yourself questions like, “How much can I expect in braces?” That’s a normal question that many people ask. However, it doesn’t have a quick answer. The following is some helpful information about all the factors that weigh in on the success that your alignment treatment has. Can Braces Help My Overjet, Openbite, and Crossbite? Braces are an excellent solution to an overjet, open bite or crossbite. All of those conditions have a possibility of being corrected. The extent of the results that you see, however, will depend on a number of factors. Only an experienced orthodontist will be able to examine your situation and estimate your percentage of effectiveness. There is hope in all situations, however. So the answer to the question of “Can I expect braces to help my overjet open bite and cross bite?” is yes. The amount of correction will depend on the factors that affect it. Examining the extent of the damage will require the orthodontist to assess your mouth on several levels. 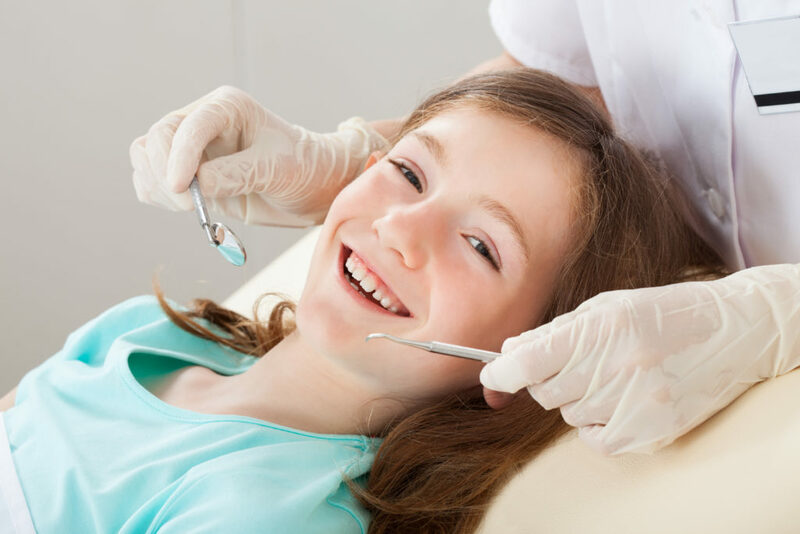 A physical examination can show the orthodontist what’s going on and how far the teeth are pointed outward so that he or she can gauge the movements that your appliance will need to initiate. The X-rays will give the orthodontist a picture of what’s going on inside of your gums. You may have some impacted teeth and some teeth that never bother to erupt. Therefore, the specialist may need to add another method like tooth removal to your treatment. The more complex the problem is, the longer the treatment will take. Your treatment time could range from 9 or 10 months all the way to three years. The extent of malocclusion plays a huge role in determining your recovery. Another factor that will play into your expectations is the orthodontist’s expertise. You’ll want to visit an orthodontist that not only has many years of experience but also has a heap of positive testimonials and reviews. This person should also have specialized training if you are going to receive a specific type of treatment such as Invisalign. A seasoned orthodontist may be better at choosing an effective strategy for your unique issue. Therefore, you’ll need to take your time to ensure that you choose a provider that will be best for you. Another element that will play a role in the time that your treatment takes as well as its effectiveness is the appliance that you use. Some devices are designed to give you a shorter treatment time than others do, and some are designed to handle complex problems over a longer length of time. For example, you may want to get Invisalign for an overjet, but traditional braces may be the better choice for the condition. As far as cosmetics go, the Invisalign treatment will provide you with a sense of privacy and discretion. It may even improve the overall health of your teeth because you can remove it. Additionally, you could choose a different discreet option that still gives you the sturdiness and form that you need. Clear braces are a great example. You’ll have a lot of choices from which you must choose the most reasonable option for yourself. The level of effectiveness will increase if the device choice matches your needs. Your cooperation is extremely important during the treatment process. There are three ways that you can cooperate and make your recovery time shorter because of it. First, you must go to all of your visits. If you have tightening visits, you have to keep your appointments. Secondly, you must follow the specialist’s instructions with regards to your appliances. For example, you must wear your Invisalign for a full 22 hours if the orthodontist instructs you to do that. Lastly, you have to maintain a positive attitude. All of those things will help to reduce the amount of time that you’ll have to keep your corrective device in place. If you visit an orthodontist that has a strong reputation and play your part in ensuring that you wear your braces or units properly, then your percentage of results should be in the high 90s. Your results can be anywhere from amazing to a complete and utter transformation. The answer to “How much can I expect in braces” – is really up to you and the choices that you make. If you’re ready to find out about your situation and set up your treatment plan, you can make the first move by calling Team Demas Orthodontics. A staff member will set a date when you will come in and have a full examination by an orthodontic expert.